From debuting as a four-year-old child actress in Tamil films to making a smashing comeback after a 15-year haitus from acting, Sridevi's cinematic journey has been a long and illustrious one. Here's looking at the star of Gauri Shinde's debut film English Vinglish and her ever-changing filmi avatars over the years! Sridevi started her acting career with the Sivaji Ganesan starrer Kandan Karunai in 1967. The actress went on to act in several other Tamil projects including Nam Nadu and Bharatha Niwas. 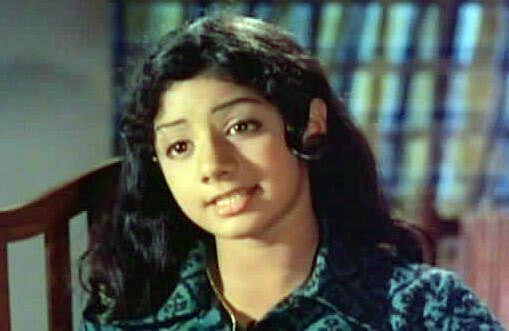 Her last film as a child actor was Avalukku Nihar Avale in 1974. Sridevi made her adult debut in Hindi films with the 1975 musical hit Julie. She played the younger sister of protagonist Julie, played by yesteryear actress Laxmi. With her third Hindi film Sadma, Sridevi showcased her acting skills and also received her first Filmfare nomination for the Best Actress award. She played Neha Malhotra, a girl who loses her memory following a car accident and is rescued from a brothel by a lonely school teacher. 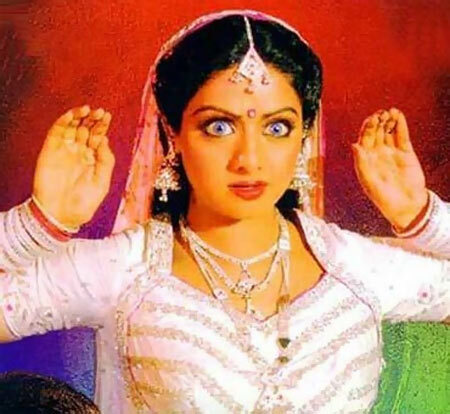 In one of the biggest hits in the early phase of her career, Sridevi played a shape-shifting snake-woman who's out to avenge her partner's death. 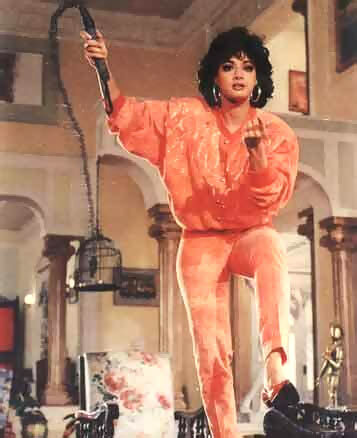 Nagina went on to become the biggest hit of 1986 and garnered a lot of praise. One of the most iconic films of its time, Shekhar Kapur's 1987 sci-fi film Mr India brought a lot of praise Sridevi's way too. With her scintillating Kaate Nahi Katti sari act and spirited Hawa Hawai performance, Sri was a complete show-stealer in the film. Right after Yash Chopra's epic romance saga Chandni, came Pankaj Parashar's hilarious new film Chaalbaaz that saw Sri in a double role. The film didn't just cement her position as an actress with a killer comic timing, it also got her her first Filmfare Best Actress award. One of the most remarkable films of her career, Yash Chopra's Lamhe -- often considered a film way ahead of its time -- saw Sridevi in a double role again. Only this time, she played Pooja, a girl who's a mirror image of her deceased mother and falls in love with a man considerably older than herself. While the film didn't work at the box office, Sridevi picked up her second Best Actress award. This 1993 film helmed by Satish Kaushik and written by Javed Akhtar was the most expensive film of its time. The film bombed at the box office because of delay in release and its high production costs. But it remains memorable because of opulent dance sequences featuring its leading lady. Sridevi's last film before she embarked on a self-imposed break, Judaai was a family drama costarring brother-in-law Anil Kapoor and Urmila Matondkar. Sri brought her quirky charm to the character of money-hungry Kajal, who trades off her husband for a fortune. The actress made a comeback with Malini Iyer in 2004. The short-lived comedy television series was produced by husband Boney Kapoor and directed by Satish Kaushik. In a comeback that receieved a response fitting for a supertsar of her stature, Sridevi floored fans with her unassuming Shashi in Gauri Shinde's exceedingly cute first film. She also happens to be among those rare actors, who managed to pull in crowds for their comebacks even though she'd been missing in action for 15 years. The BEST Amitabh Bachchan film scene? TELL US! YOUR Favourite Sridevi Avatar Onscreen? VOTE!